2 Beds 3 Baths 1 Partial Bath 1,248 Sq. 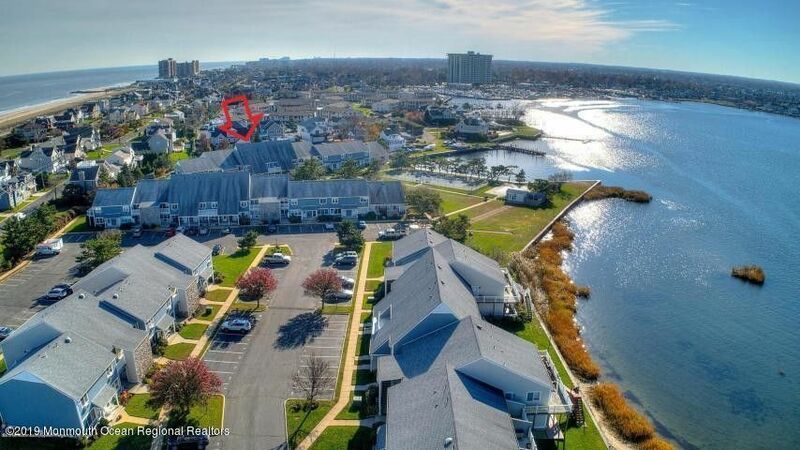 ft.
Only one block from the beach, this riverfront complex is situated between the Ocean and the river in Breakwater Cove. This beautiful and bright 2 bedroom, 2.5 bath unit features an updated kitchen with sliding doors leading to private patio. Master bedroom has a beautiful new bathroom and views of the river. Take advantage of all of the amenities that Breakwater Cove has to offer, including pool and tennis courts. Canoe, Kayak Storage, Boat Mooring up to 21' when available - ALL FREE.Guaranteed Gorgeous sunsets from your front porch. Close to great schools, beaches, (MMBP 3 blocks away) restaurants and shopping. Golfer? Eligible for County Resident Golf Card, 9 Courses at Resident Rates. Choose your commute to NYC by fast ferry, train or bus. "We Cover the Shore - One Home at a Time"